Our Sunday Gatherings happen at 255 West St. in Downtown Annapolis. They are where our church comes together to worship through song, confession, prayer, exegetical preaching, offering and the Lord’s Supper. Our gatherings are where we remember the gospel of grace for our hearts that we might be built up and encouraged to go into our places of work, play and neighborhoods to show and tell the story of Jesus with our friends and neighbors. Our Gatherings last about 1 hour and 15 minutes. What you can expect: A space of worship where all people are welcome regardless of background, belief or lifestyle in order to hear the hope of Jesus proclaimed. We are committed to teaching both the encouraging and challenging truths of the Scripture while communicating in a way everyone can understand. We celebrate the Lord's Supper as a sacred feast every Sunday to remember Jesus' atoning death on our behalf. Each Sunday we encourage all who have trusted Christ as Lord and Savior to examine their lives and come freely to partake. Plan on arriving a few minutes early in order to park at the Park Place garage. 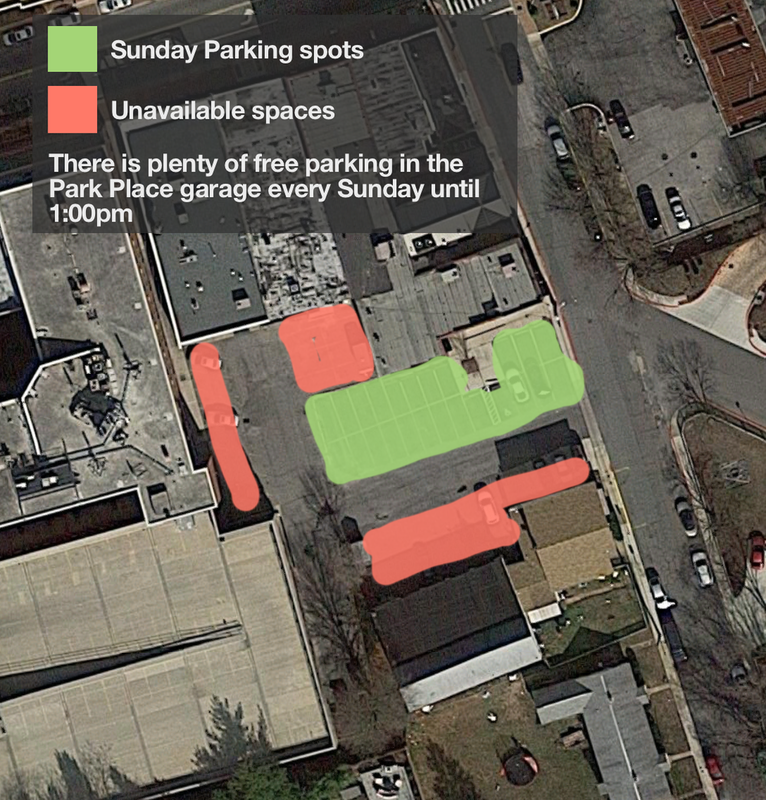 To access the Park Place garage turn left past Miss Shirley's (directly across from our church building). This will lead you to the garage entrance below Park Place. Parking here is free until 1pm on Sundays. We have 8 designated spaces for parking directly behind 255 West St, which are accessible via Monticello Avenue. If the street-facing door is locked, you can enter via the lobby around back. Take the alley to the right of India's Restaurant and turn left at the rear of the building. We love the children of our church and are committed first and foremost to helping parents teach their children to follow Jesus into the world. This is the foundation of what we call Children of Hope- that the children of our church and community would be transformed through the gospel of Jesus Christ. What can I expect FOR MY CHILDREN AT THe GATHERINGS? + Look for our Children of Hope area to sign your child in when you arrive. Children's Check-in opens at 8:15, 9:45, and 11:15am every Sunday. + We offer care for ages 0-2 (Seeds/Nursery), ages 3-4 (Sprouts/Preschool), ages 5-7 (Saplings/Early Elementary) and ages 8-11 (Trees/Upper Elementary). + When you arrive please check all of your children in. Your children ages 4 and under will be dropped off in their appropriate room, children 5 and older stay with parent(s) in the Gathering through the message. We practice this as a church because we believe children singing, reading, confessing, observing their parents and other adults in worship is vital to their formation in Christ and fosters intergenerational connection within the body. + We use the Lifeway Gospel Project for our curriculum, which you can read more about here. + We take the safety of every child seriously, which is why every volunteer has a background check. We manually check every child in and out of the children's program each week. + Each class (except for the nursery) will feature a lesson and a craft. + We are grateful for the many families and individuals who serve with our children in a sustainable rhythm- we encourage every person who considers Downtown Hope their church home to consider serving with our children 1/month!